These past few weeks leave us with some solid tracks from movies such as Queen, Bewakoofiyaan, Gulaab Gang, Highway, and Hasee Toh Phasee. Enjoy! Please note: there are NO spoilers in this review. 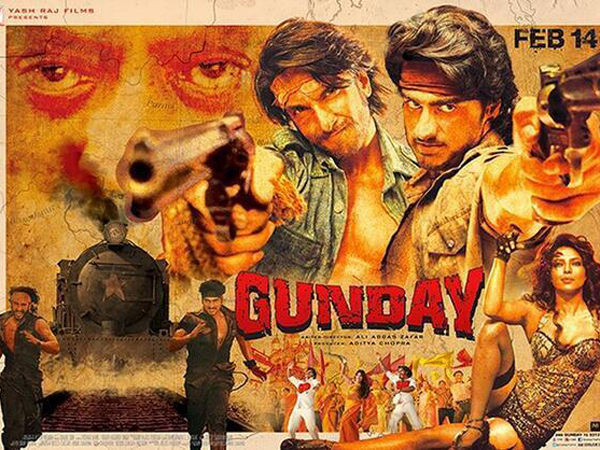 Gunday is this year’s masala-packed film with a 1970’s Bollywood flare. Ranveer Singh, Arjun Kapoor, and Priyanka Chopra keep you entertained just enough to last you through this fairly lengthy movie. Although it can be saved for a DVD night at home, Gunday might be worth a watch if you’re fan of throwback Hindi movies. In summary, Gunday, is about two orphan childhood friends, Bikram and Bala, who are stranded during the Bangladesh Liberation War and end up in Calcutta seeking a new life. They eventually find their fortune as “gundays” of the city’s coal industry. They are chased by police (Irrfan Khan) and fall in love with the cabaret dancer (Priyanka Chopra). 1. 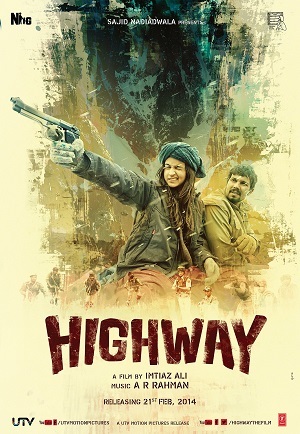 The soundtrack by Sohail Sen is a highlight of this film (see my “Music Review” in a previous post). 2. Ranveer Singh and Arjun Kapoor have clearly worked very hard to build their sculpted, hairless, and oil-chested bodies for this film – let’s give them the credit they deserve! 3. Priyanka Chopra’s item number, “Asalaam-E-Ishqum,” is a hit! She definitely looks smoking hot in this film. 1. The action scenes are painfully in extreme-Matrix slow motion. I understand they are trying to create an old-school Hindi movie theme, but even movies back in the day had better action shots! You will get sick of seeing Bikram and Bala running at snail’s pace with their every sweaty hair strand swishing in your face. 2. The dialogues are quite poor. There is one awful line by Irrfan Khan that summarizes just how creative the writers got with this script… “Newton Baba ne kaha hai ki every action has an equal and opposite re-action.” Seriously?! 3. The movie was too long…there were at least five different scenes that I thought were going to be the ending, including the intermission. On the whole, Gunday is a light-hearted film to watch with some friends at home. Gulaab Gang & Bewakoofiyan Music Review! ‘Gulaabi,’ sung by Malabika Brahma and Shilpa Rao is the most powerful track full of patriotism. The singers’ impeccable energy captivates you with each and every word of Neha Saraf’s lyrics. Definitely a favorite on your playlist this week! ‘Dheemi Dheemi Si’ is sung by Kaushiki Chakroborty and Malabika Brahma. It is a true blend of classical and folk tunes in which you can imagine a playful event taking place in the scene. It sounds like an introductory song to a major scene/character. ‘Sharm laaj,’ sung by Malabika Brahma and Pavni Pandey, is also a catchy folk song that has a dance-able feel to it. If you’re a classical/folk dancer, you might find yourself choreographing some steps to this one! ‘Aankhiyaan,’ sung by Kaushiki Chakraborty, is a very beautiful yet incredibly snail-paced track. The flute is the highlighted instrument and makes the track sound like a perfect lullaby. ‘Rang se hui,’ also by Kaushiki Chakraborty, is the token Holi song of the film. No, it probably won’t be the first track you play at your Holi party, as it is more of a folk song that sounds almost bhajan-like. It is appropriately placed in this album and it will most likely have an important role in the movie. ‘Rangi saari gulaabi’ is a special track as it starts off with Madhuri Dixit’s mother, Snehalatha Dixit, singing the intro! Madhuri Dixit and Anupama Raag also join in on this traditional, slow folk song – something you might hear at a wedding function. I’m sure we all agree Madhuri’s strong suit is her dancing vs. singing, but nonetheless collaborating with her mother is priceless! ‘Teri jai ho’ is a solid track and a wonderful tribute to women. 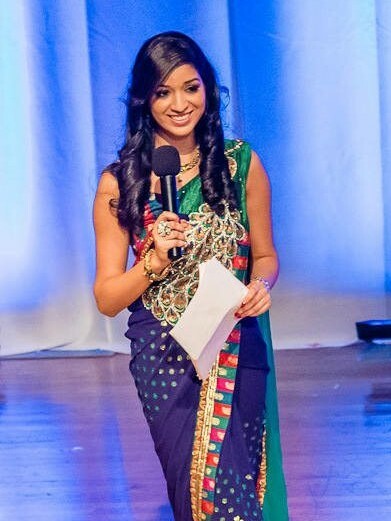 It is the only track with a male voice – sung, composed, and written by Soumik Sen. Females – this song is a great morale boost and wonderful to listen to in the morning time! Bewakoofiyan actually has a surprisingly appealing soundtrack with a few hits to add to your playlist this week. Raghu Dixit, the music director of this film, recently won his first GIMA (Global Indian Music Awards) for Best Live Performer. This Bangalorean indie folk band is actually more popular for its non-film music and is widely known to combine Indian classical rhythms with contemporary, up-beat styles. Fun facts about Raghu Dixit: He has performed for the Queen of England at the Diamond Jubilee Celebrations and he has hit the #1 spot on the iTunes World Music Charts seven times! 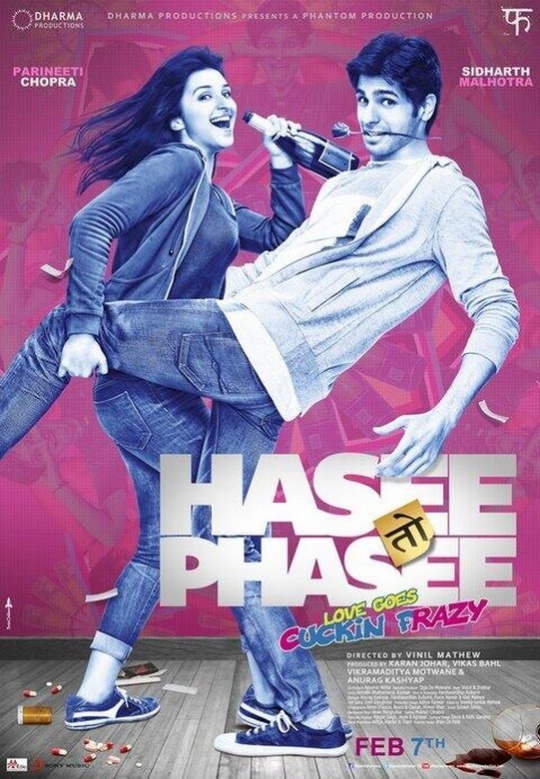 My favorite track of this film is ‘Gulcharrey‘ (Aditi Singh Sharma-Benny Dayal), which literally means “flowers scattering.” In this context, however, it is describing a celebration of life’s pleasures, or, “living the high life.” It has a catchy tune and is one of the stronger take-aways from this soundtrack. The next best track is by Neeti Mohan, ‘Khamakhaan.” Very catchy and a track you will have on replay. I love Neeti’s attitude in this song and it will fit perfectly with Sonam Kapoor. Fun fact about this song: Ayushmann Khurrana sings this song! Yup – this new actor is a singer too. His is also well known for ‘Pani Da Rang,’ his debut song in Vicky Donor. The title song, ‘Bewakoofiyaan,’ is sung by Raghu Dixit himself. I expected more from this track; quite frankly the only part of this song that’s stuck in my head is the ‘koof‘ syllable that Raghu exaggerates in a goofy way (have a listen and you’ll see what I’m talking about!). This song seems perfect for the ending credits…we’ll see! ‘Rumaani Sa Rumaani Si‘ (Mohit Chauhan-Shreya Ghoshal) is a very ordinary track fit for a rom-com. I can absolutely imagine Sonam Kapoor running through the fields on this one. Not a bad number, but not a favorite either. The other two songs ‘Aye Jigida’ and ‘O Heeriye‘ are the weakest parts of this soundtrack. 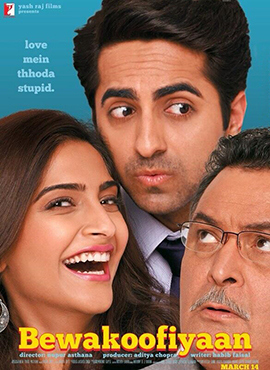 ‘O Heeriye‘ was co-composed/co-written by Ayushmann Khurrana.